What is the navigation bar in Blogger? It is a small bar at the top of blogger blogs that provides some useful features to the user. However it also may take visitors away from your blog because of the Next Blog option. It is better to get rid of the Navigation Bar at the top of your blog in Blogger. 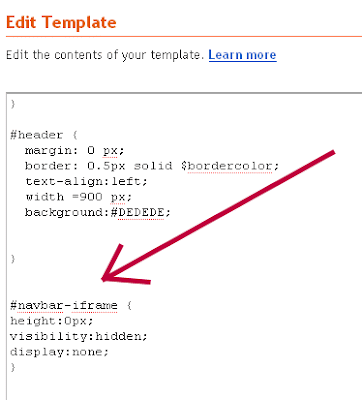 To get rid of the Navigation Bar in Blogger please use this code. Remember to backup your template, before you make any changes.